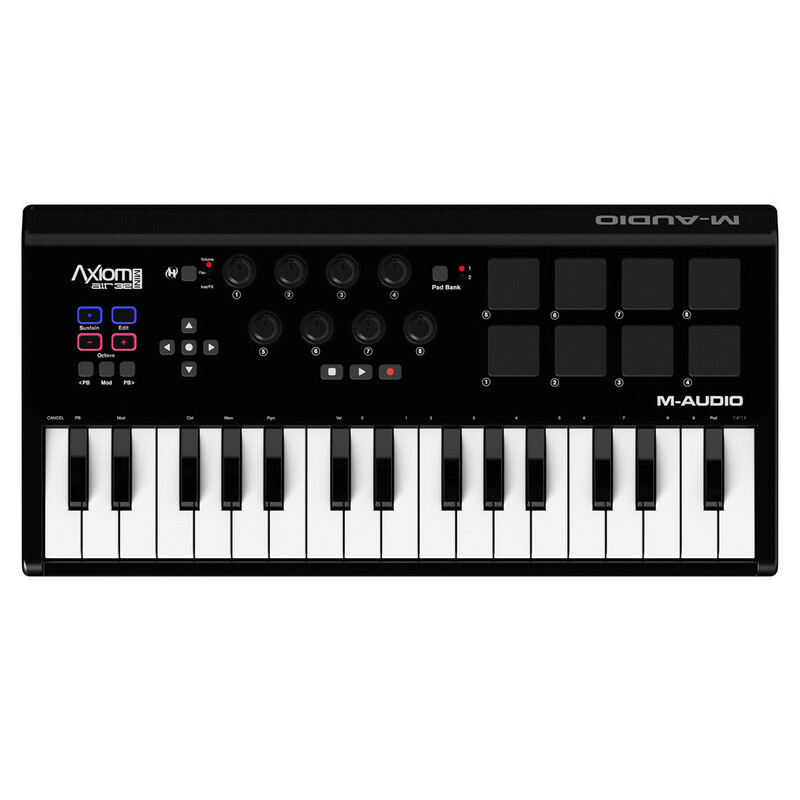 The M-Audio Axiom AIR Mini 32 MIDI controller keyboard is the ultimate tool for the mobile musician. 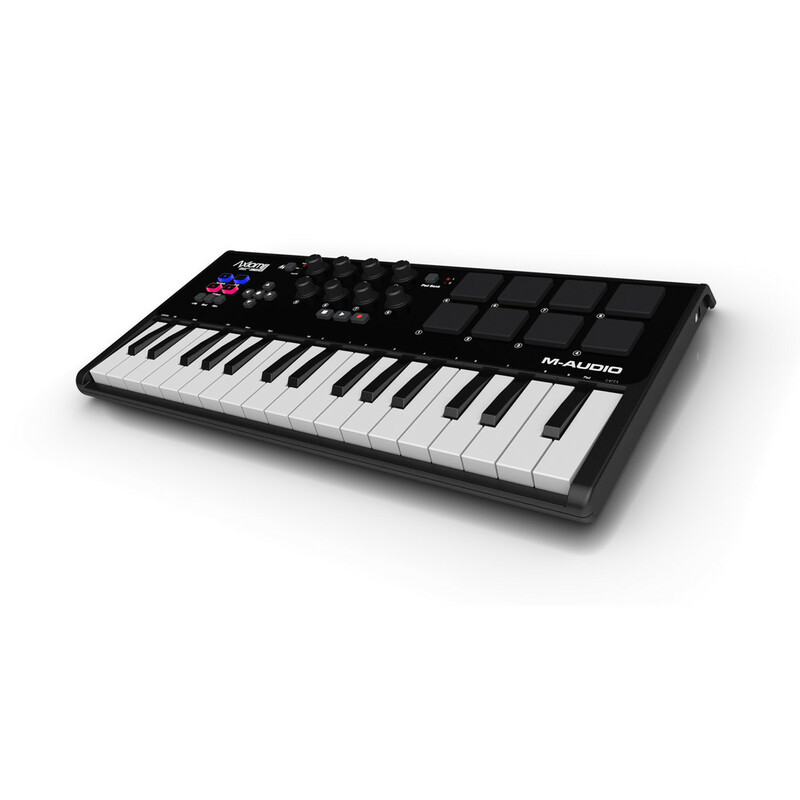 The 32 velocity-sensitive mini keys have plenty of room to play, plus there are eight knobs, eight drum pads, and transport and software navigation buttons to give you complete control over your sound. HyperControl technology instantly assigns the controls to work with your recording software. The Axiom AIR Mini 32 offers extensive control, yet remains simple to use. Our HyperControl technology instantly maps the control surface to work flawlessly with your recording software, so there are no set-up chores required. Customise your setup right from the keyboard - no editing software required. Save your favourites to the 10 memory locations for instant recall. 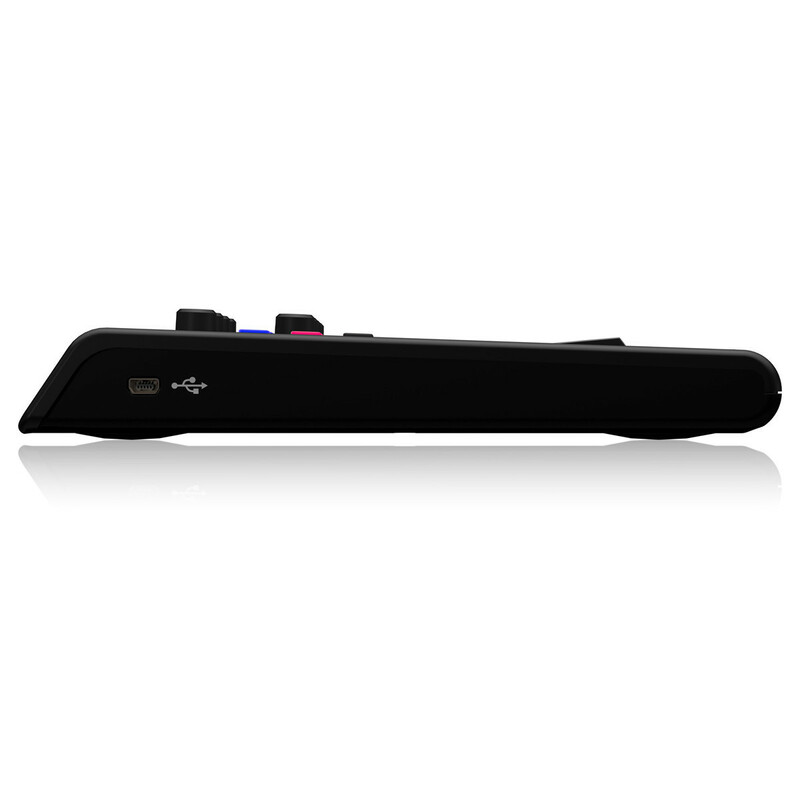 Add to that dedicated transport and track select buttons for true Best-In-Class capabilities. With Ignite, you can now capture your ideas quickly with professional results. Individual musical ideas are captured as phrases, simply called clips. Multiple clips can be played back together, or even grouped to create more complex phrases and song sections. Ignite provides seamless integration with any current M-Audio keyboard controller. Once connected to your computer, the key parameters will be automatically assigned, or mapped, to the front panel controllers. This tight integration provides an out-of-the-box solution that simply works-with no set-up chores to perform. Included with Ignite are over 275 remarkable instrument sounds developed by AIR Music Technology. 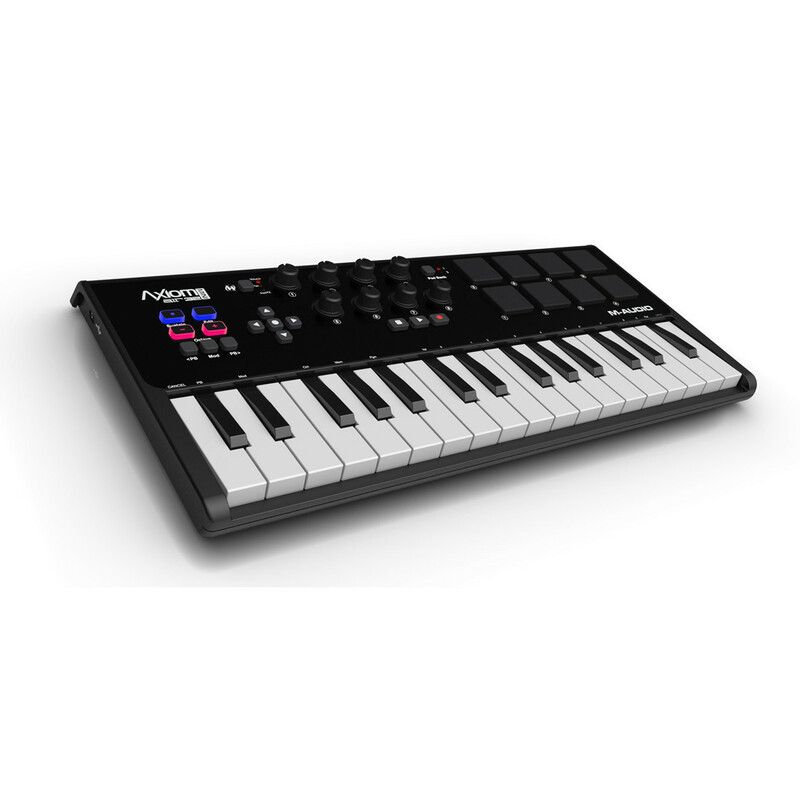 In addition to a versatile arpeggiator, Smart MIDI technology provides both a Chord Player and a Phrase Player that can introduce new musical parts to enhance your production-even a drum pattern. Email your ideas to the rest of the band. Share your musical ideas and songs with other musicians through SoundCloud-all without ever leaving Ignite. Plus, you can export WAV and MIDI files, and then import them into any DAW recording software-including Pro Tools. Ableton Live Lite delivers much of the functionality of Ableton Live-the revolutionary, multi-award winning music production solution that allows you to spontaneously compose, record, remix, improvise and edit your musical ideas in a seamless audio/MIDI environment. Live brings your acoustic, electronic and virtual instruments-as well as your digital audio recordings and MIDI sequences-together in a single interface with unparalleled ease of use.